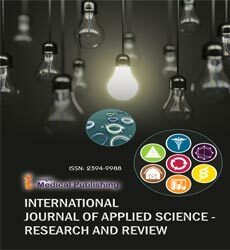 International Journal of Applied Science-Research and Review dedicated to following best practices on ethical matters, errors and retractions. The prevention of publication malpractice is one of the important responsibilities of the editorial board. Any kind of unethical behavior is not acceptable, and Open Journal of Research does not tolerate plagiarism in any form. Authors submitting articles to Journal affirm that manuscript contents are original. Review of Manuscripts: Editor must ensure that each manuscript is initially evaluated by the editor for originality, making use of appropriate software to do so. Following desk review, the manuscript is forwarded blind peer review to the editorial review board that will make a recommendation to accept, reject, or modify the manuscript.